In the Divine Liturgy for the March 2016 Clergy Meeting at St. Pope Kerollos VI Church, His Eminence Metropolitan Serapion laid hands upon and elevated Father Shenouda Ghattas to the priestly dignity of Hegumen. This was His Eminence’s first act of elevation after his own elevation to the episcopal dignity of Metropolitan on February 28, 2016. 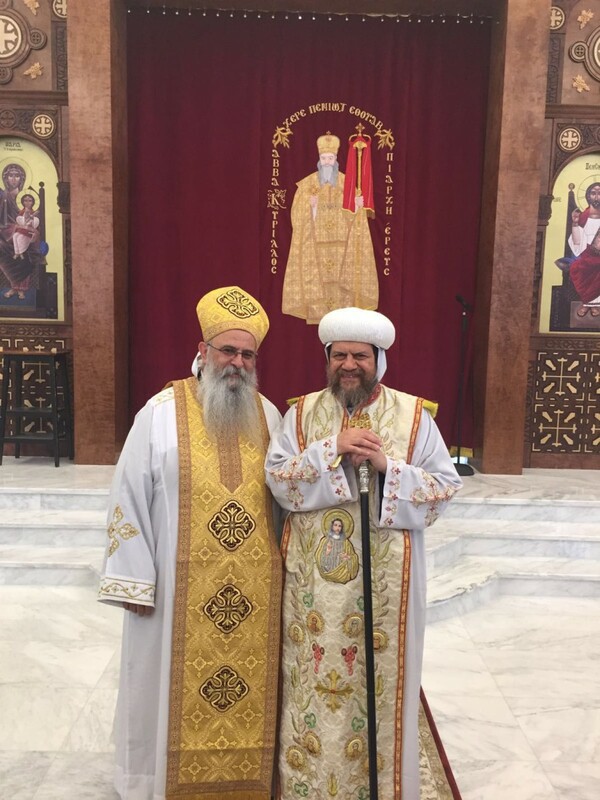 The Reverend Hegumen Father Shenouda was ordained as a presbyter by the Thrice-Blessed Pope Shenouda III of blessed memory on June 7, 1987. Since then, he served in North Carolina andNew York until he began his service within the Diocese alongside his wife and daughters. May God continue to bless his service and make it even more fruitful.